Since 2007, Independent Home Products, LLC has served much of North Carolina's bathroom safety needs. Whether you are looking for a walk in tub in Charlotte or a walk in shower in Asheville, Independent Home Products, LLC can get it done, and with pricing and quality that can't be matched. Keep yourself or your loved one as independent in your home as possible for as long as possible. Our North Carolina walk in bathtubs and hydrotherapy tubs have become the industry standard for functionality, beauty and ease of use. Whether you are in need of a hydrotherapy tub in Mecklenburg County and throughout most of the state of North Carolina for pain management or improved circulation or require a walk in shower to tub due to difficulty with mobility, Independent Home Products, LLC is North Carolina's choice in providing walk in showers and tubs that are built to last. We've helped to improve the quality of thousands of lives, and we'd love to help you too. Why Choose Us to Install Your Walk In Tub in NC? It's the People Behind the Product. All of the staff at Independent Home Products, LLC are caring bathroom safety experts in North Carolina. We understand that the decision to purchase a walk in tub is a big one. They are an investment in your health and in your quality of life. We'll help you every step of the way; from selecting a walk in bathtub that best suits your needs to installing the walk in tub if your North Carolina home. Made in the USA! All of the walk in tubs installed in North Carolina are manufactured at our factory in Long Island New York. 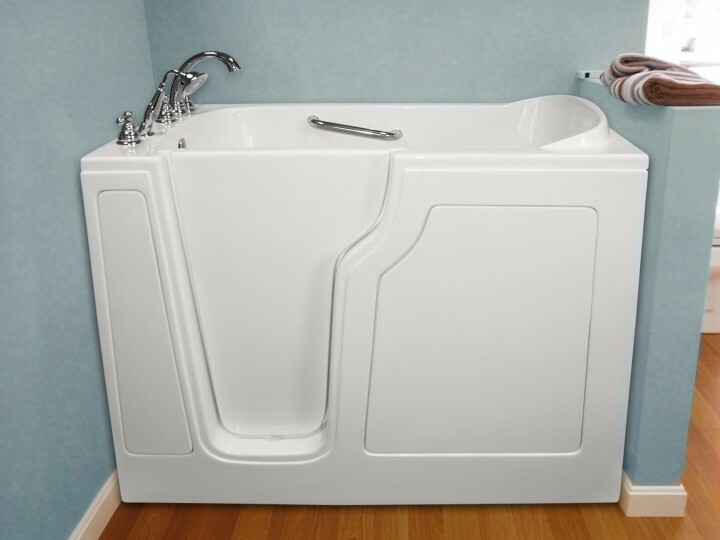 Our walk in tubs are designed and molded using the best technology available today and then shipped to your local North Carolina walk in tub contractor. Quick and Efficient. Because our tubs are designed and manufactured right here in the USA, our lead time is quick. We can complete the entire process of measuring your space, helping you select the best walk-in tub for your needs, order the tub, have it manufactured, shipped and installed within 10 to 14 days! Our system is streamlined to fulfill orders quickly and efficiently, saving you time and money. We'll turn your bathroom safety hazard into a luxurious spa by pulling out that old tub and installing a walk in bathtub in your North Carolina home. Visit our YouTube Channel to see our amazing bathtub transformations! Call any time to discuss your Charlotte Walk in Bathtub needs!